Wooden flooring options for each room: what will you choose today? Everyone’s house is their haven; each house has a different set of rooms, which add their very own charm to the house’s overall beauty. With this thought in mind, it’s imperative to decorate each room individually, since each room should have its own set of interior layouts. Since we are talking about interiors, what kind of flooring should each room have? But the thought worth thinking about is, how does one decide the kind of flooring for each room? Do you deal with a lot of mud and dirt in your rooms? If your family drags in a lot of mud and dirt from outside, chances are a carpeted floor is just not made for you. In such a case, you need an easy to clean flooring, which can ease out your workload, so that you don’t have to keep running after everyone with a vacuum cleaner. If mud and dirt is your worst enemy, then you should try using ceramic or porcelain tiles in the room. This way, all you need to do is sweep up the dirt and you are done! Are your kids little hurricanes inside the house? If all your kids can think about are new ways to wreak havoc inside the house, then it’s best to cushion the flooring with some nice and soft material. In order to make the room a little more comfortable for your children, you can always go for tightly woven wall to wall carpeting. There are different varieties of carpet tiles available in the market, which can be a perfect fit for people who have kids running from room to room. Many people like to put hardwood flooring in all the rooms. However, how would you feel when you and your partner get up in the morning, and have to walk on the hard flooring? Definitely not something you would look forward to, right? If you are a couple, it is quite advisable to go a little soft in the rooms and do them up with a nice engineered wood flooring, with a soft cozy rug or just do the floors up with a silken carpet. The idea is to match durability with a touch of coziness, in order to enhance your room’s interiors. In rooms which serve as high traffic areas, hardwood flooring is the best. All you have to do is mop the floor clean, and forget about it. However, different types of hardwood have different caring instructions, so you might want to check in with the installer to make sure you have everything in place before you start cleaning up the floors. Last but not the least, if you are more of an entertainer, and like to have people over quite often, then it’s best to use hardwood flooring again. You can keep refinished wood as an option as well. With hardwood, managing spills becomes quite easy; if you are entertaining and having parties often, hardwood flooring can be a wonderful option. No more hassles of cleaning after the guests leave, or worrying about those annoying heel marks, etc. 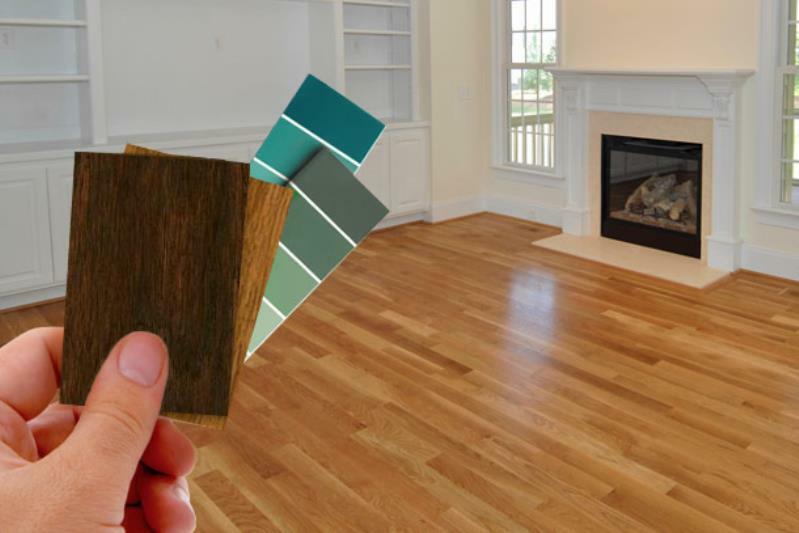 No matter what kind of flooring you choose, make sure the color combinations sink in well with your interiors. Choose the best flooring option as per your needs and lifestyle, in order to ensure you can derive the best out of your flooring options.